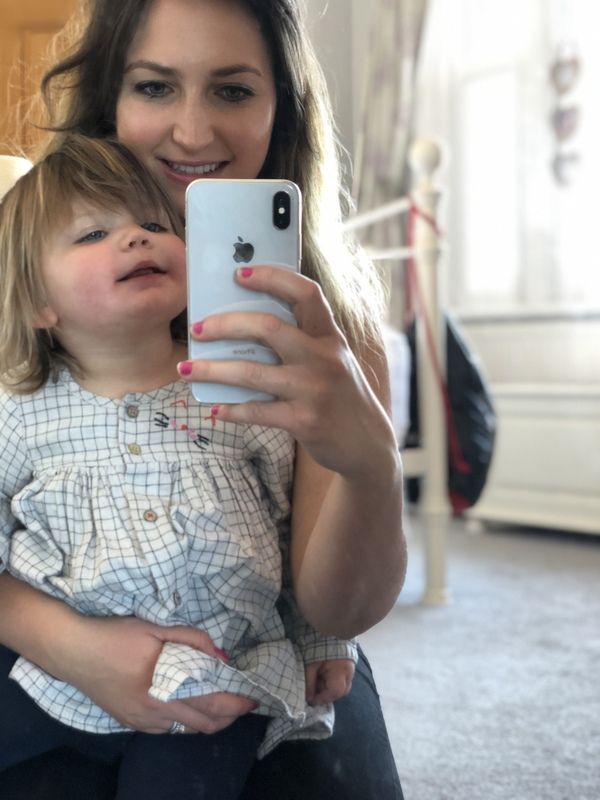 Tips on how to get yourself ready with a toddler, without getting stressed! Long gone are the days of casually getting ready for the day; Blow drying and styling my hair, and then taking time to do my makeup. Nowadays I feel like I have trimmed down my timings and routine to a few minutes for my makeup. However, I do take longer now with my hair. 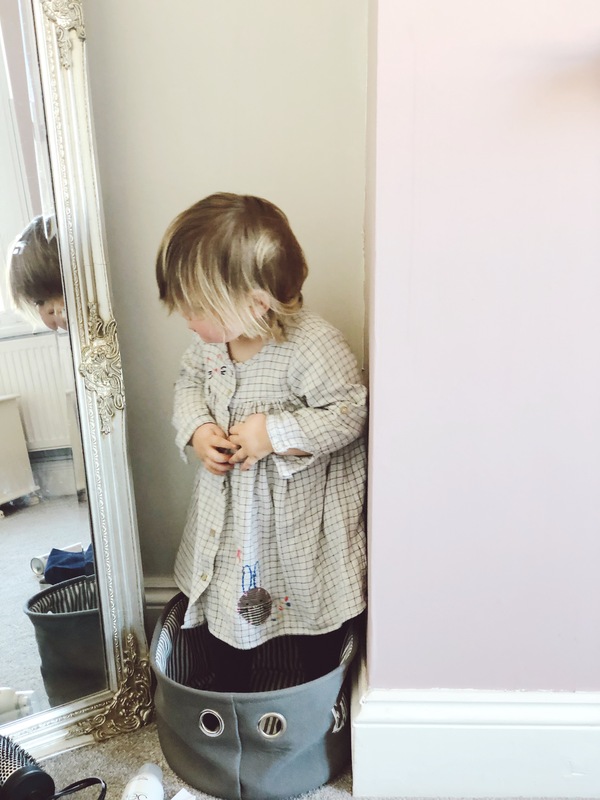 I thought I would share a few tips and tricks that I do, which help me to get ready whilst looking after Freya (a very active 17 month old), or attempting to stop her from emptying every single drawer in my room, blocking the toilet by trying to flush a whole toilet roll or throwing whatever she finds across the room. Make sure they are not hungry or tired: Now this one might sound silly… but trust me. 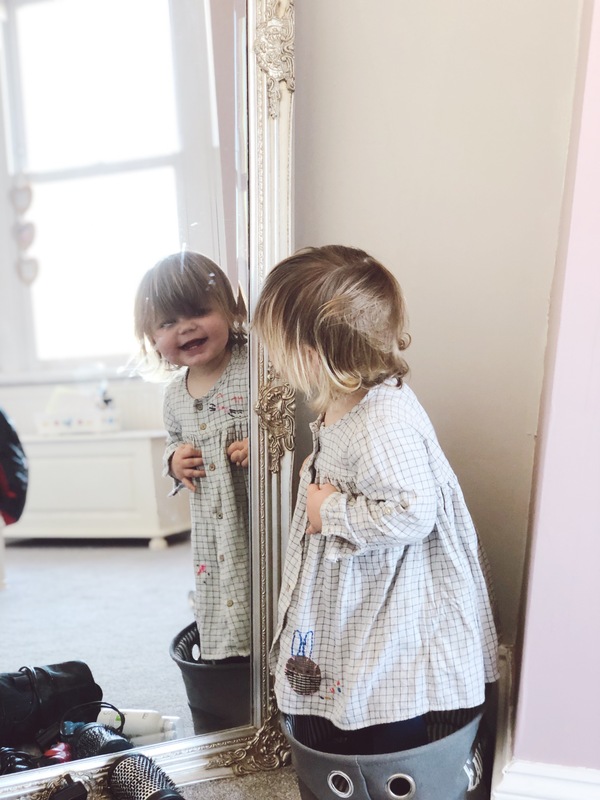 You do not want to anger or bore a tired and hungry (otherwise known as hangry) toddler, by trying to get yourself ready and not fully amusing them. Create interest. 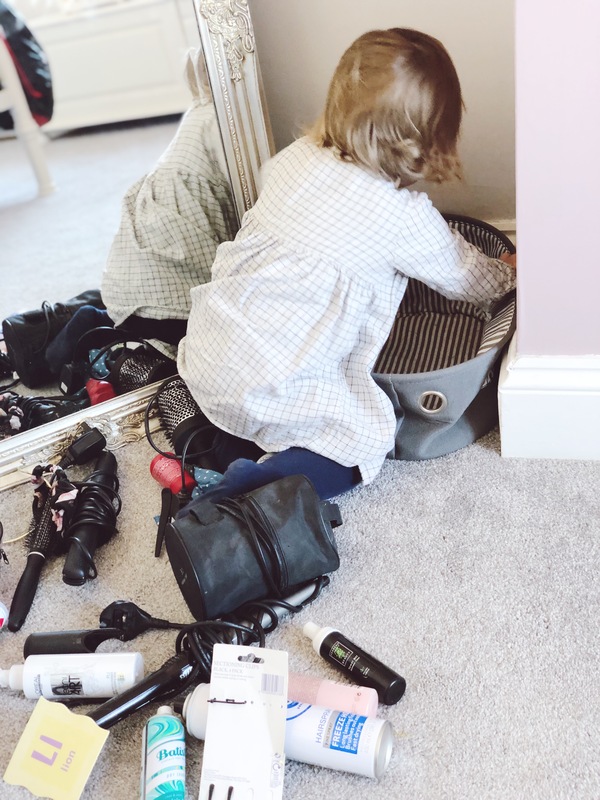 So I have a basket full of all of my hair products (although any potentially dangerous or harmful products I store in the bathroom cupboard or on a high shelf) which Freya can play with. She loves to take all of the items out and line them up, knock them over and start again. It is a great distraction for her as well as practising her dexterity. I add extra toys into this basket: Such as one of her books, hair scarves that she likes to play with; and I change this regularly so she remains interested. Damage limitation: So by this I mean where possible, keep your room tidy. 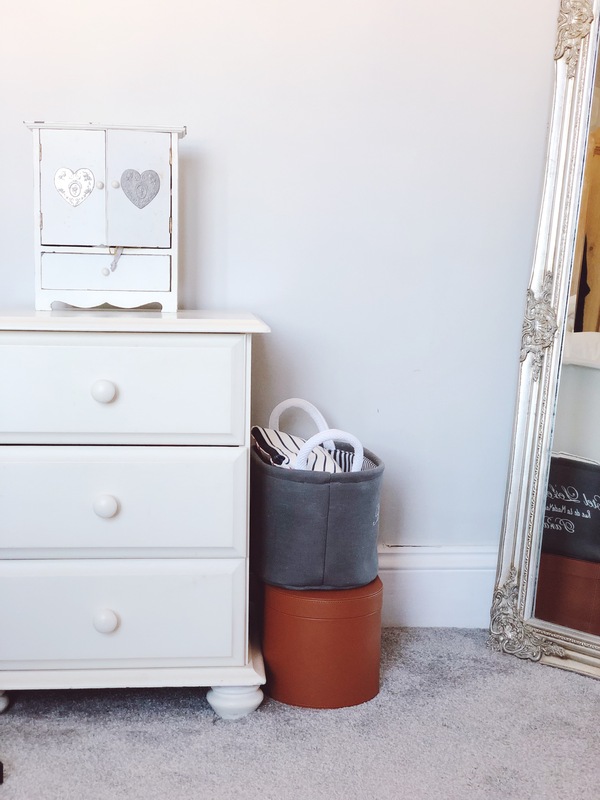 For anyone who knows me they may be laughing out loud at this part… but if things are tidied away and not left in big piles everywhere like piles of papers/life admin, then they are less likely to be ripped apart or thrown around. 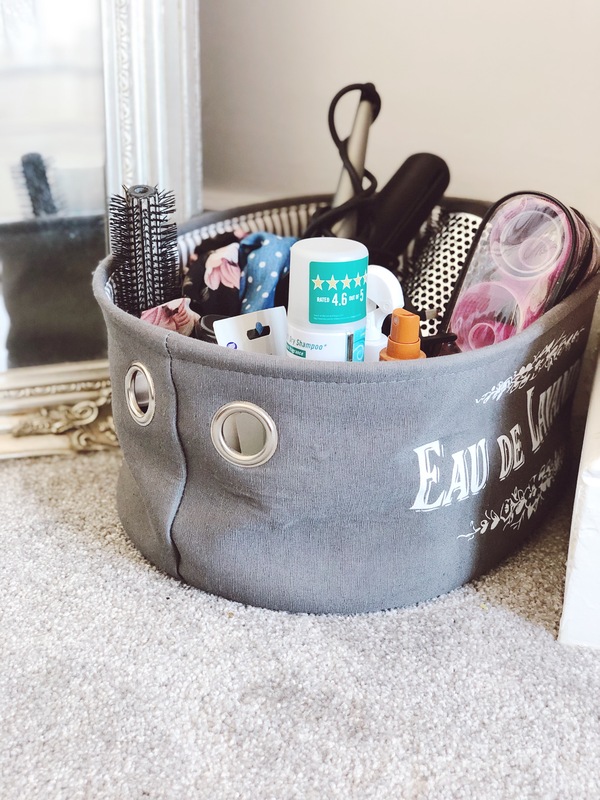 Use storage bags/cosmetic bags: For an example, previously (BF – Before Freya) I had a whole drawer full of nail polishes all lined up nicely… well, forget that! Now they are safely tucked away in a ZIPPED wash/cosmetic bag. This means that Freya can get the bag out of the drawer but she cannot undo zips yet, so my nail polishes (and carpet) remain safe. 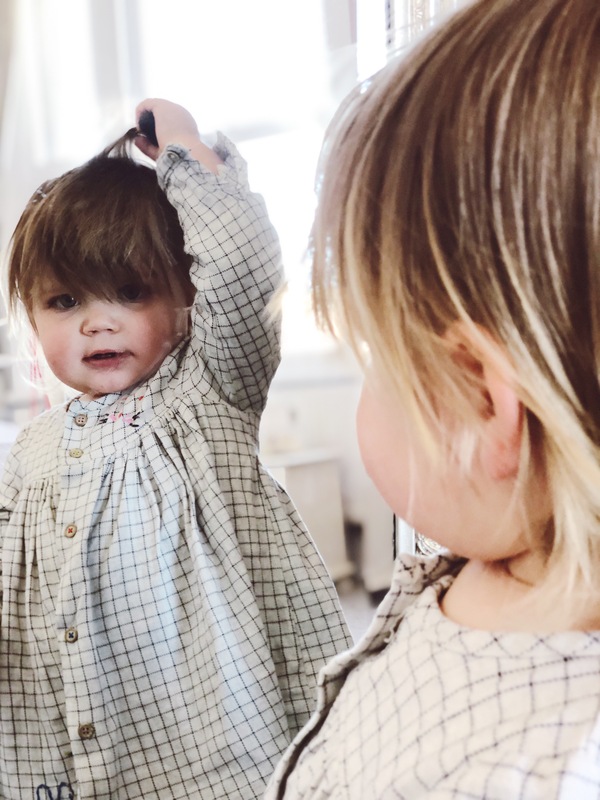 But she also does not get frustrated as previously she would get the nail polishes out, I would have to take them off of her and she would tantrum. All of this is now avoided. Try to remain in one small (ish) area whilst getting ready: So I will shut my bedroom door whilst I am getting ready. This means Freya will stay in my room, usually playing with the items in the basket or sat on my lap watching me do my hair. This means I don’t have to keep jumping up, running out of the room to see where she has gone. It makes the whole process a lot quicker. 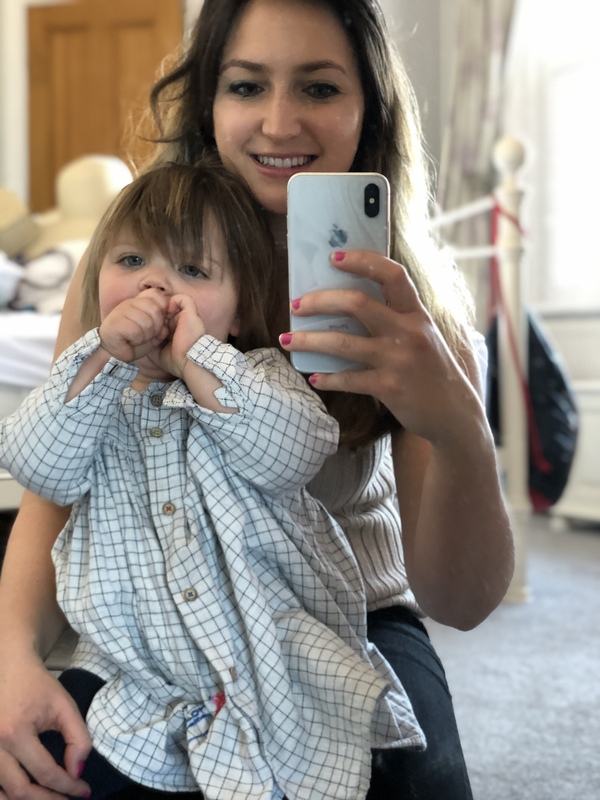 Keep talking and involve them: I find if I involve Freya, and constantly talk to her explaining what I am doing she is happy and content to sit with me and watch. 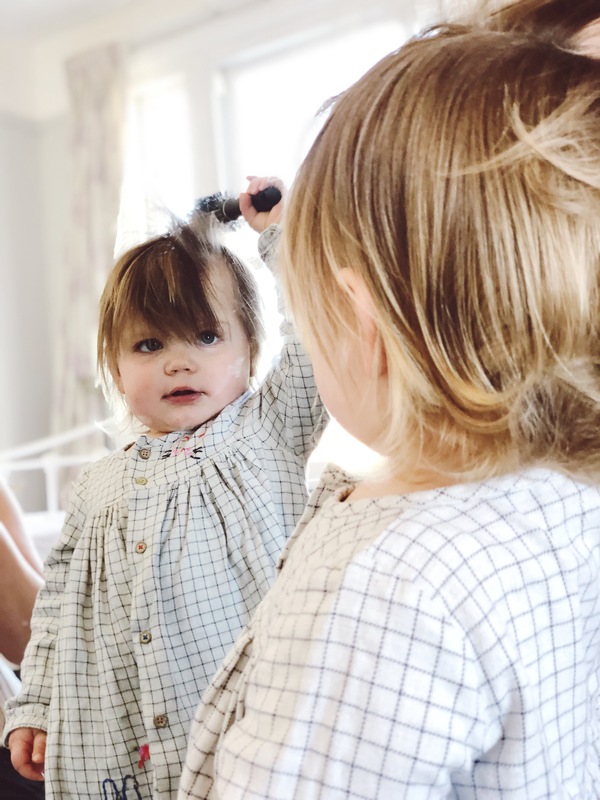 So for example when I’m brushing my hair I will say “Freya would you like to brush your hair now?” and she will, happily. Excuse all of the fingerprints on the mirror! But the cutest little hands made them ! Now even with all of this, there are still days that Freya is very clingy and will not want to sit or be anywhere other than attached to me. So those days… a “throw it up” Mum bun style is the way to go. And I will quickly apply some mascara as and when I can. It is what it is, no need to stress, after all… what is more important!! 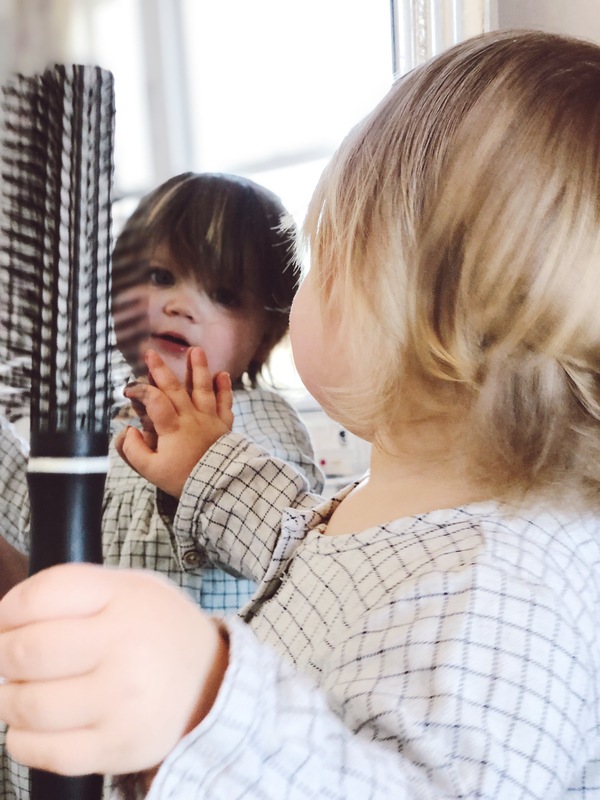 I hope some of these tips help you and your toddler when getting ready in the morning… or lunchtime (I know how it is). One last thing… although in the pictures, I rarely use straighteners. If I do use heated styling tools I will stand up and do them well away from Freya, just incase she could reach and touch them. Previous Post The Postnatal Body: Acceptance. Haha what a great post! 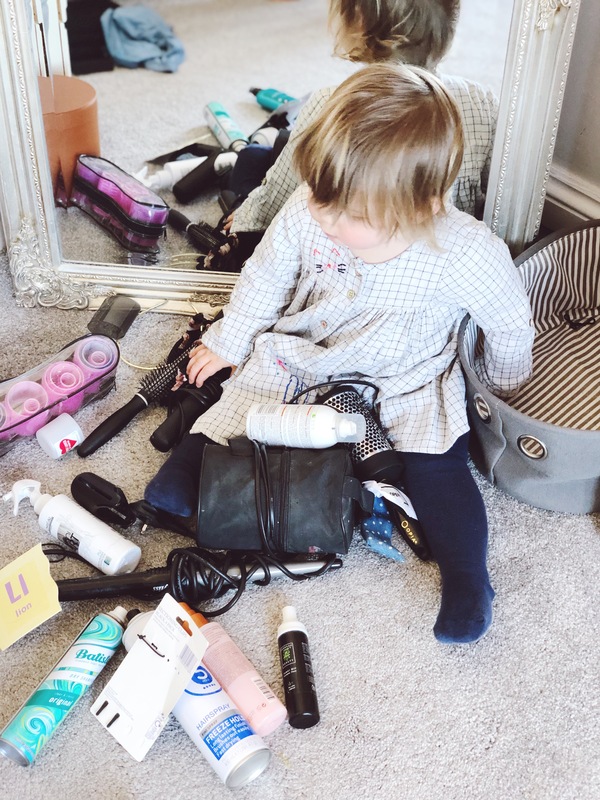 It’s funny because it brings back memories (now all Lottie wants to do is wear my make up) but it’s great advice for first time parents!